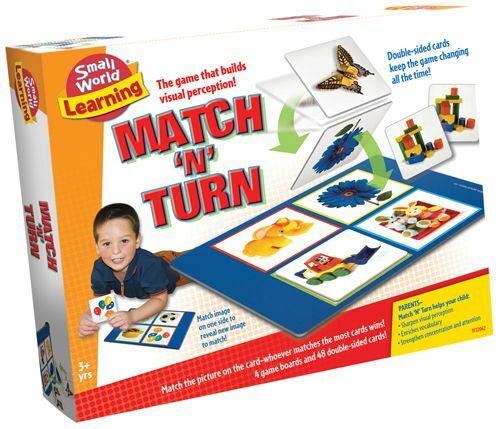 Match 48 double-sided cards to 4 game boards! As you match the card on the game board, a new picture is revealed to be matched. Game changes all the time and the one with the most cards wins! 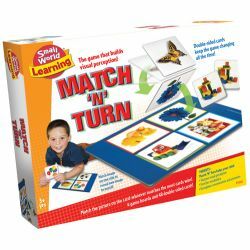 Sharpens visual perception and enriches vocabulary. For 2-4 players.